Production Facility at Life Data Labs, Inc. RAW INGREDIENT BINS Dave is the mixing and pelleting operator. We receive the majority of our raw ingredients in bulk tote bags. They are hoisted into dedicated production bins where they are automatically weighed according to the recipe entered into the production computer. The weight of each ingredient is checked 3 separate times to ensure absolute accuracy. Nutrient ratios are that important! FINISHED PRODUCT Andy is the packaging operator. 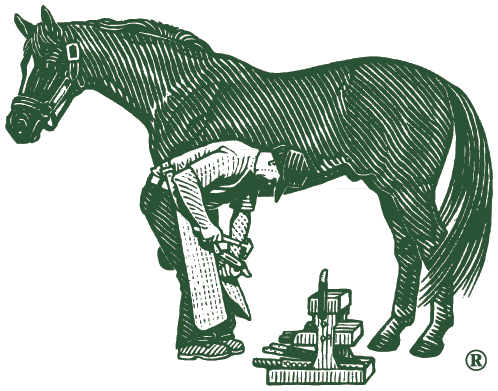 Farrier's Formula® Double Strength is available in 11 lb. vacuum bags and 11 lb. pails. The packaging line is composed of several automated machines that work together in unison to produce a finished product ready for shipment. IN STOCK AND READY TO DELIVER We will ensure that our products are where you need them anywhere in the world. Visit our Dealer Locator to find a supplier near you.